Fifty years ago today, the U.S. Supreme Court struck down laws that prevented people of different races from marrying in Virginia. Now, one of every six newlyweds choose partners of a different race or ethnicity. So does this mean America is on the road to ending racism? And how do mixed race kids think of themselves. Those questions puzzled a UVA alum whose new book offers intriguing answers. Sandy Hausman has that story. 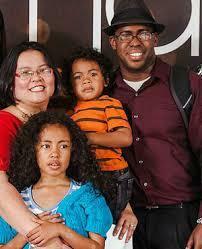 A growing number of families in this country include people of different races. Hephzibah Strmic-Pawl grew up in rural Virginia where race consciousness was strong. Back then, the U.S. census bureau recorded only a handful of possible races for residents of the state. Now, however, that has changed. “Now we have 63 possible racial categories,” Strmic-Pawl says. And looking at the younger members of our population, the assistant professor of sociology was startled by the number of kids who don’t fit neatly into a single racial category. “It’s the fastest growing population for people under the age of ten. The population grew by 32% between 2000 and 2010, so it’s somewhere between 2.6% and 3% of the United States population,” she explains. Strmic-Pawl wondered if that could be a sign of things to come. Might this country finally overcome the problem of racism, which has plagued us since our founding fathers owned black slaves. She undertook a series of 70 in-depth interviews with young people who are biracial – asking a series of questions about race: How comfortable do you feel in groups of all white people. How often do you feel that you are experiencing racism? How many of your friends are people of different races? What is the race of your partner? The answers she got in studying people who were half white, half Asian or half white, half black were intriguing. And for them, that meant experiencing some form of racism on a daily basis. What’s more, the way people identified themselves had little to do with actual skin tone. For those who were half black, the key factor seemed to be that experience of prejudice, while those who were half-Asian might identify themselves as Asian because they felt close to their parent of Asian descent. “But they didn’t have very many Asian cultural values, beliefs, religious values that they strongly identified with,” she says. These and other findings are published in her new book, MultiRacialism and Its Discontents.